An RV is a home away from home. It’s a vehicle and then some. RVs allow their owners to travel on their own terms, with a level of luxury that’s difficult to replicate with other types of vehicles that combine transportation and lodging. Bountiful in terms of amenities and big in terms of literal size, RVs are serious investments for their owners. As such, they should always be treated with the highest level of care. 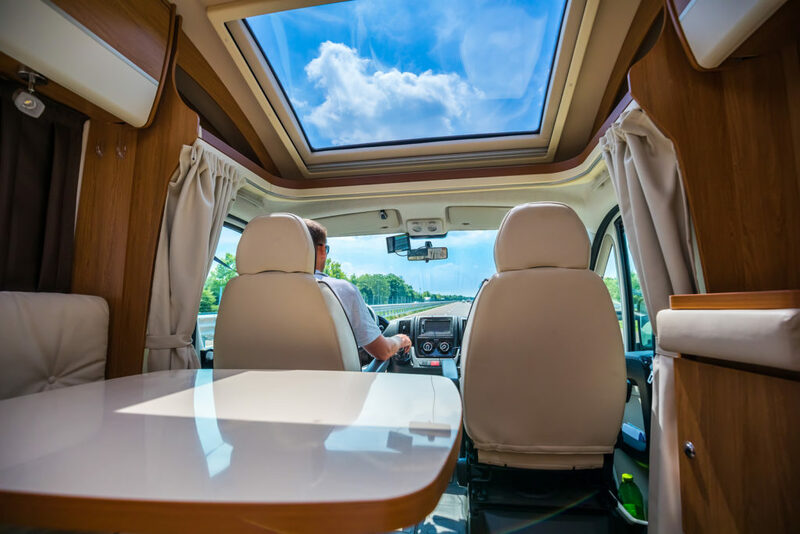 If you are an RV owner, one of the best things you can do for your vehicle is to keep it in proper storage during the seasons when you are not regularly using it. In this guide, our storage experts here at Stor-It discuss the importance of proper RV storage. We also provide a comprehensive checklist for getting your RV ready to move into a storage facility. At guide’s end, we provide information on our industry-leading RV Storage facilities in Boise, Idaho and beyond. If you are an RV owner and resident of the Treasure Valley, there is no better place to store your investment. Read on to learn more about the importance of RV storage and schedule a tour of our excellent RV storage facilities here at Stor-It today! If you own an RV you’re aware of just how big of an investment it is. The last thing you want is that investment being neglected and eventually not working the way it’s supposed to. A damaged or broken-down RV is tough to take on the road. Necessary repairs can also cost an arm and a leg. Plus, if you’re ever in the market to sell your RV, you’ll find that damages can greatly impact resale value. By storing your RV in a commercial storage facility, you’ll be taking it off your curb, where potential hazards, such as debris from storms, excessive precipitation and sun exposure, and a number of potential curbside accidents can occur. By choosing to move your RV into storage, you’ll likely be moving it away from neighborhood thieves and freeing up a huge amount of space at home. Plus, the best of the best RV storage facilities offer easy access and several storage space options to fit any vehicle. Remember: an RV in storage in an RV that stays out of the shop. If you’re looking for a great way to keep your investment off the road, RV storage is essential. Why Choose Stor-It for RV Storage? Searching for RV storage? Boise, Idaho and the surrounding areas have several options to choose from. None top the RV storage facilities here at Stor-It. Outfitted with a host of amenities and sizing options, and backed by exemplary service and competitive prices, our RV storage is simply the best in Boise and beyond. Here at Stor-It, we are passionate about storage in all shapes and sizes. Family owned and operated from the very beginning, we’ve made it our mission to provide excellent storage to members of our greater Idaho community. Our commitment to excellence in all areas of storage has earned us thousands of clients and has enabled us to open 14 locations across the Treasure Valley and beyond. Today, we are Idaho’s largest self-storage company. 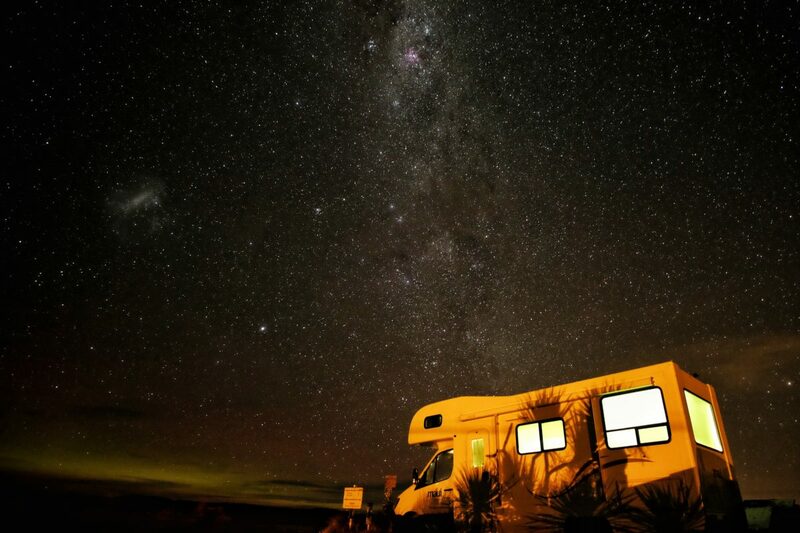 Our storage facilities are outfitted with several industry-leading amenities and benefits, including easy drive-up access points, night-lighting, the industry’s finest fencing, and site managers ready to provide assistance at any time to meet your covered RV storage needs. Among the many storage options offered here at Stor-It, our team is proud to provide comprehensive RV storage options for RV owners across Idaho. In the Treasure Valley, we have several locations that offer covered & uncovered RV parking capable of housing RVs of all shapes in sizes. Follow the links below to learn more about our many RV storage options and locations. Boise: Cloverdale @ I-84 – Covered parking spaces ranging from 14’ x 30’ to 46’ x 30’ in size. Outdoor parking spaces sized 10’ x 30’. Boise: Federal Way @ Malad – Outdoor parking spaces sized 11’ x 20’. Boise: Mitchell @ Fairview – Outdoor parking spaces ranging from 9’ x 19’ to 12’ x 60’ in size. Boise: State Street @ Glenwood – Covered parking spaces ranging from 11’ x 24’ to 11’ x 36’ in size. Outdoor parking spaces ranging from 11’ x 20’ to 11’ x 40’ in size. 11’ x 24’ covered parking space + 12’ x 28’ unit doubles also available. Caldwell: Chicago @ 21st – Outdoor parking spaces ranging from 10’ x 25’ to 10’ x 37’ in size. Caldwell: Cleveland Blvd. off Exit 33A – Covered parking spaces ranging from 12’ x 14’ to 12’ x 50’ in size. Meridian: Locust Grove @ Fairview – Covered parking spaces ranging from 11’ x 28’ to 11’ x 35’ in size. Outdoor parking spaces ranging from 11’ x 25’ to 11’ x 30’ in size. Meridian: Ten Mile @ Franklin – Covered parking spaces sized 12’ x 40’. Outdoor parking spaces ranging from 11’ x 25’ to 11’ x 45’ in size. Meridian: Ten Mile @ Ustick – Covered parking spaces ranging from 14’ x 30’ to 16’ x 40’ in size. Outdoor parking spaces ranging from 14’ x 30’ to 14’ x 44’ in size. Covered parking spaces ranging in size from 12’ x 40’ to 12’ x 50’ + storage unit doubles also available. If you’ve made the choice to move your RV to storage, there are few things you’ll want to do to get your vehicle ready for its new home away from home. Follow these steps to ensure that your RV is in tip-top shape and ready for storage. Make sure you clean your RV before storing it! Empty all cupboards and medicine cabinets. Emptying your RV cabinets and cupboards of foods and toiletries will prevent mess and decay. It will also help dissuade pests from making homes in your RV. Vacuum everywhere. Crumbs, litter, and other microscopic debris on your RV’s floor can lead to pests, staining, and set-in odors. Before storing your RV, vacuum all surfaces to greatly reduce the risk of these unwanted space invaders. Scrub down your fridge. Food items or spills in your fridge can lead to major mold problems and unpleasant odors if left to fester while your RV is in storage. A thorough scrub of your RV’s fridge will ensure that it stays squeaky clean during storage. Prepare your RV plumbing system. During storage, water is your RV’s worst enemy — especially in the winter. Make sure to get all of the water out of your tanks and fill them with antifreeze. For proper winterization, we recommend having your RV winterized by an automotive professional in your area. Cover your tires. Tires are built to handle the wear and tear of the open road, but excessive exposure to sunlight can greatly reduce their lifespan. Use tire covers to keep your RV tires in tip-top shape when not in use. Cover the rest of your RV. Covering your RV with a high-quality RV cover will aid in preserving the exterior of your RV and will also keep temperatures lower in the interior, helping to prevent heat damage. Call ahead for storage scheduling. To make sure that your chosen RV storage facility has space to accommodate your RV, it’s a good idea to call ahead and reserve a spot. Ready to store your RV here at Stor-It? Contact us to make your reservation. Searching for quality RV storage in Boise and beyond? Our team here at Stor-It literally has you covered. Use the links above to check out the RV storage options offered at our many Treasure Valley locations and explore our website to learn more about the other storage services we provide. Need RV storage now? Reserve your RV storage space with us today!